Said competition being the Fujitsu Design Award 2011. Turns out it’s a major happening among design circles as more than 1,000 entries have been submitted so far. The theme for this year is “a life with future computing” and some chick might have just presented the smartest idea. Among the cream of the crop are Ms. Laura Lahti’s Keyless Lifebook, which borrows the long running brand name of Fujitsu laptops. 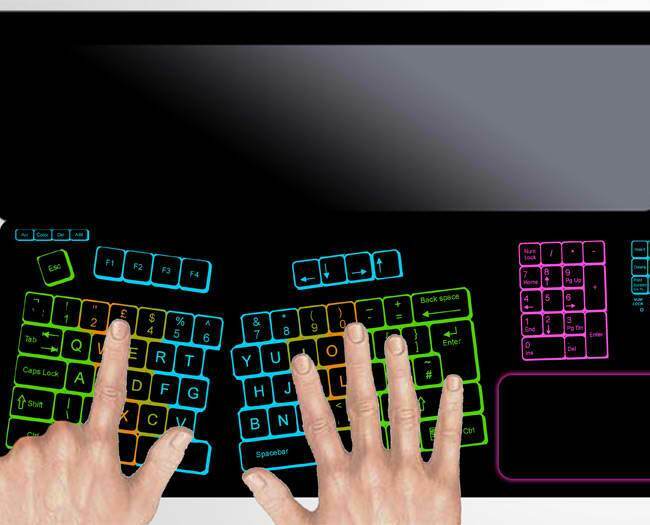 Lahti takes it further through a novel concept that finally gives users the power to determine their own keyboard configuration. That’s right. With the Lifebook, the user is the one who determines the layout of the keys with the press of an “Arrange” button. Seen above is an ergonomic arrangement that’s possible with the Lifebook. That’s not all. The Lifebook as Ms. Lahti sees it is a tool for revolutionizing how we write. What’s even hotter, the Lifebook doesn’t require any typing. Draw the letters with a finger tip or two and there! A stylus is also welcome.